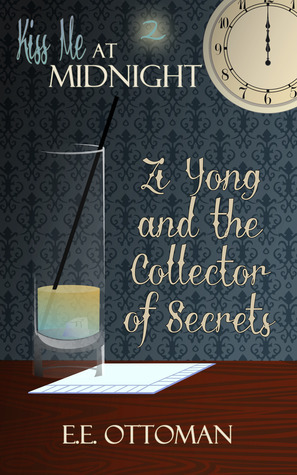 Zi Yong and the Collector of Secrets released as part of the Less Than Three Press Kiss Me at Midnight collection, bundle 2. I was lucky enough to win a copy from E. E. Ottoman’s giveaway, and here’s my review! Every seven years a beast comes down from the mountains to feast upon the youngest children in the village. Zi Yong will do whatever is necessary to protect her baby, but what she doesn’t expect is help in the form of the stranger who appears at her door vowing that she is a collector of secrets and wants only to help. Read an excerpt of the story here. I really enjoyed this story, from the simple, clean prose to the premise that the protagonist’s strength came not from a background of angst or hardship, but from love and the desire to protect the most important things. Zi Yong was written in a way that was easy to empathize with, a bit of a loner, and her background came across as very real and poignant. Jing Wei was an interesting enigma from the start, and seemed so ordinary and mundane, I was intrigued to learn more about her. The progression between the two of them from strangers, who Zi Yong would barely invite into her home, to someone welcome to homely tasks like preparing food and taking care of Fāng, was deftly done. This read like an Eastern fairy tale, complete with fireworks and a ‘dragon’ of sorts, and had some delightful imagery that made a strong visual impression on me. I was enthralled with the story from start to finish and would love to see more of these characters, but was pleased with the stand-alone work. The rating is very mild, but it suits the story. Anything further wouldn’t have fit the tone or the genre, so I was pleased the focus stayed on emotions and the culmination of a kiss. It was a short read, and I finished it in about an hour, less I think. I’m happy to make this part of my collection, and it’s very much worth reading when I’m in the mood for a light lady-love tale with wuxia roots.